My band, Cross Culture, has been making moves at a fast pace. 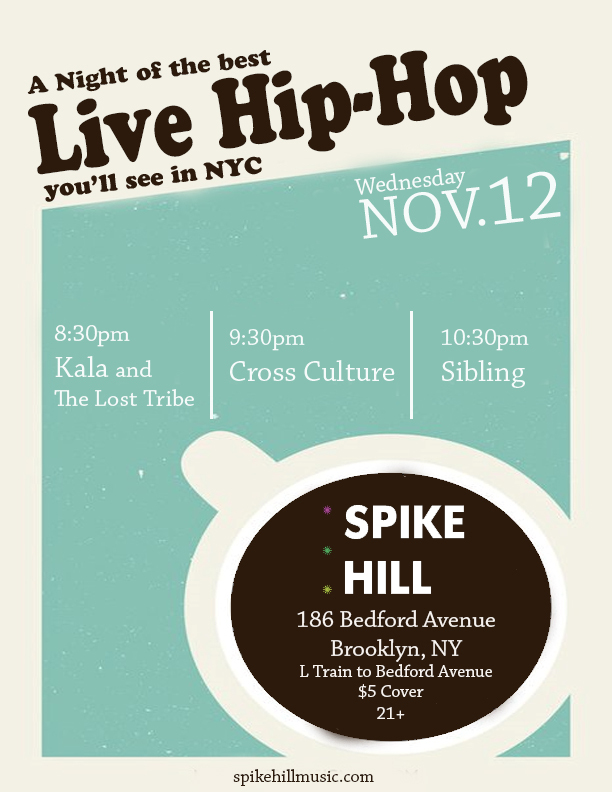 Catch us in concert on Wednesday, November 12th at Spike Hill (186 Bedford Avenue, Brooklyn, NY 11211). Cover is only $5…that’s a cup of coffee at Starbucks!! See you all there! !